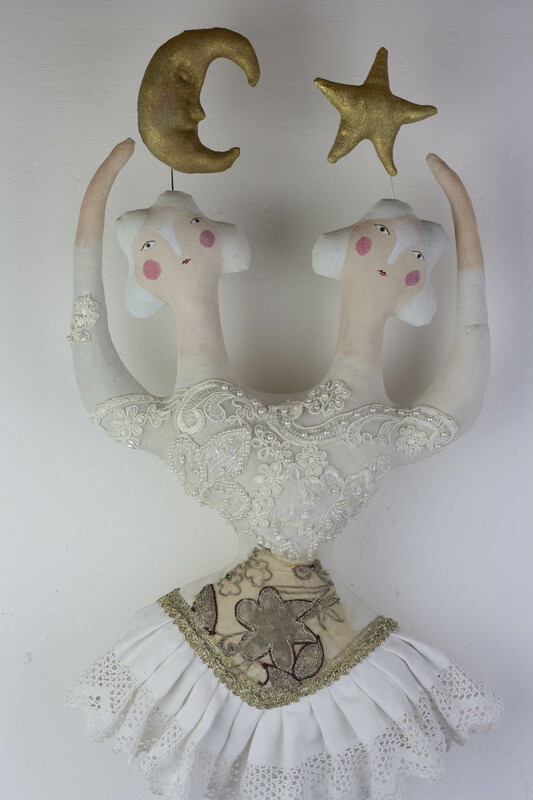 This textile art doll is part of my new collection The Theatre of Tales. They are conjoined for life, but luckily they get on very well together. 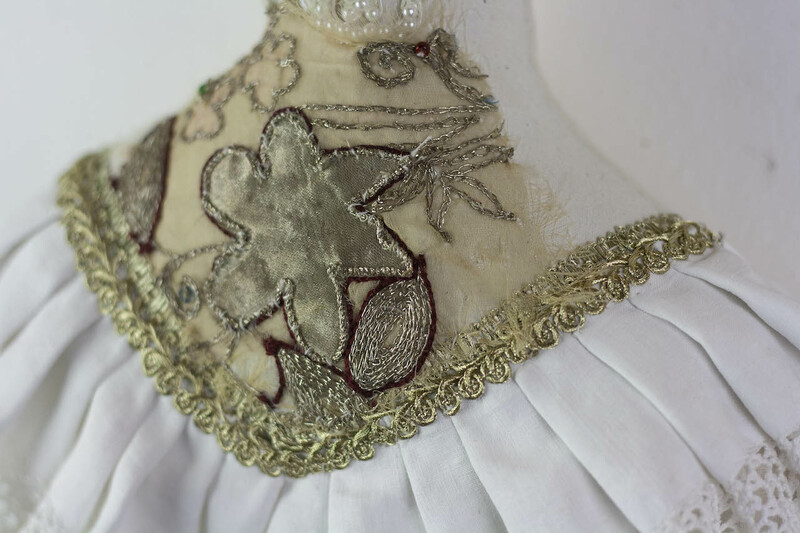 This soft sculpture is handmade of cotton, vintage India textile and bits of a cut up ‘cream cake’ wedding dress covered in pearl beads and embroidery. Their golden crescent moon face and star are made of textile and pinned onto the head.